Does One Spouse's Bad Credit Affect a Joint Bank Account? Bad credit doesn't usually affect your bank accounts. Your and your spouse's credit scores and credit histories track how you handle credit and debt. A joint bank account is a pile of cash, not a line of credit. Unlike a credit-card company, the bank isn't making you a loan, so it doesn't have to worry about your credit scores. If you and your spouse want debit cards on the joint account, your spouse's poor credit might raise some eyebrows at the bank. Debit cards make it easy to overdraw an account and the law limits your bank's ability to slap you with overdraft fees. According to the Bankrate.com website, banks don't usually check credit before issuing debit cards, but the number of banks that do is on the rise. While your spouse's credit score won't disturb your account, the problems behind it may have an effect. If your spouse has a number of unpaid creditors, they can attempt to garnish her bank balance -- which in a joint account is also your bank balance. Depending on your state's laws and the type of creditor you're dealing with, a creditor may be able to seize a joint account, or at least take out half of the money in it, even if for example you deposited two-thirds of it. Your spouse's credit problems may be the result of bad luck, but they could also stem from bad money management. One drawback to opening a joint account is that no matter which of you contributes the money, both of you have equal access to it. If your spouse has any problems with controlling his spending -- or simply keeping track of how much he's withdrawn -- his bad habits could become a problem for you, too. A simple way to keep your joint account from turning into a problem is to keep it small. Rather than make your joint account your primary bank account, you might choose to keep your money in separate accounts and put just enough in the joint account for weekly use. If you want to ensure your spouse has quick access to your money when you die, a "payable on death" designation for a separate account works well as an alternative to a joint account. 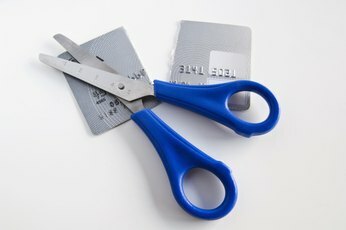 Does Removing the Authorized User on a Credit Card Affect Your Credit Score? What Is the Authorized Signer on a Checking Account? Does a Surviving Spouse Have to Pay the Debts of a Dead Spouse? Does My Wife Have to Be With Me to Close Our Joint Account? 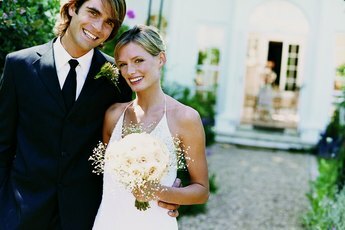 Should Married Spouses Have Their Own Bank Accounts? Can a Parent Open a Joint Savings Account With a Minor Child?